© 2019 ICM Partners. All Rights Reserved. Long before N-Sync, Back Street Boys, 98 Degrees and even New Kids On The Block – there was New Edition– the modern day blueprint for Boy Bands. For more than 30 years, “NE” has mesmerized audiences with their signature choreographed shows, smooth vocal harmonies and electrifying showmanship cementing their place in history as one of the most successful touring groups ever. Boasting music’s most notoriously loyal audience, 15 national tours, 18 multi-platinum albums, 4 American Music Awards, 14 number 1 records and countless Billboard Top 20 hits, New Edition remains the unstoppable measurement of true R&B, Hip-Hop and Pop music. The New Edition phenomenon was born in 1983 in Boston, MA with teenagers Ronnie DeVoe, Bobby Brown, Ricky Bell, Michael Bivins, and Ralph Tresvant. In 1986 Bobby Brown left the group to begin a highly charged solo career – soon after Solo artist Johnny Gill joined the group. New Edition evolved stronger than ever with “Heartbreak” their biggest selling album with three #1 songs. The amazing success has proved fruitful for the brand. In 1989, NE orchestrated one of music’s biggest coups by simultaneously launching Ralph Tresvant and Johnny Gill’s solo albums, while Ricky Bell, Michael Bivins and Ronnie DeVoe created a high-octane group and new sound with Bell-Biv-Devoe, which spawned the 4-times platinum cross- over hit “Poison”. Between the various projects, a cumulative 30 million records were sold and together, the men dominated Billboard Charts, MTV, VH-1, BET and stadiums across the country. 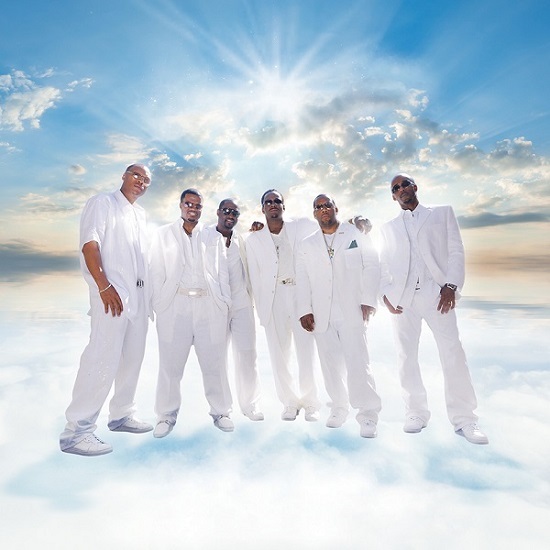 New Edition is officially a movement that turns the band into an R&B mega-group with its dynamic, razor sharp choreography and larger-than-life on-stage persona that remains the undeniable wow-factor that continues to fascinate audiences all over the world. This is a show you do not want to miss!